Allies of former Gov. Rick Perry have announced the creation of a super PAC that could boost his 2016 presidential bid. It is one of several signs his presidential apparatus is kicking into high gear. Allies of former Gov. 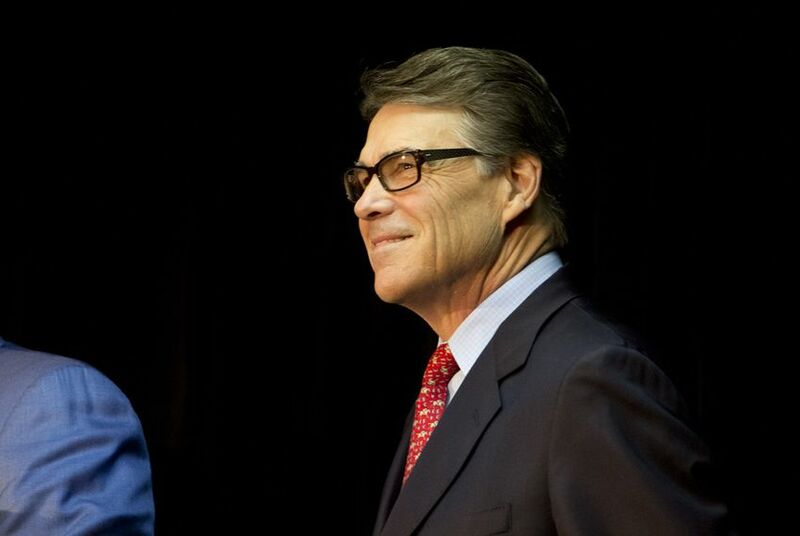 Rick Perry have launched a super PAC that can raise unlimited amounts of money to boost the likely 2016 candidate, one of several signs that his presidential apparatus is kicking into high gear. The Opportunity and Freedom PAC will "educate voters on Perry’s record as governor of Texas and promote his vision for the future of America," supporters said in a news release. The super PAC also unveiled a web video touting Perry's rise from small-town Paint Creek to the state's highest office, a narrative expected to factor prominently into its messaging. The formation of the super PAC was just one indication Thursday Perry's circle is ramping up ahead of a campaign that could be official as early as next month. A person close to the operation said Jeff Miller, Perry's chief political strategist, is now working full-time for RickPAC, Perry's leadership PAC. Perry's team also announced it has formally brought on board five GOP hands in South Carolina. In addition to highlighting his up-by-the-bootstraps biography, the Perry supporters indicated they plan to showcase the wide range of decisions the former governor had to make as he led the second-most-populous state. Although their connections could be numerous, the super PAC will not be allowed to coordinate political activity with Perry's campaign under federal law. Many RickPAC officials are likely to transition to the campaign, including the five hires in the Palmetto State the committee rolled out Thursday. At the helm of Perry's newly named crew in South Carolina is Katon Dawson, the chairman of the former governor's 2012 bid in the state who has been informally guiding his travels there over the past two years. The rest of the team includes South Carolina GOP operatives Walter Whetsell, Le Frye, Jeff Alderman and Jonathan Davis. CNN first reported the hires in the Palmetto State as well as Miller's move. As RickPAC finalized the South Carolina staff this week, Perry's supporters submitted the paperwork to create the super PAC, according to Federal Election Commission records. The super PAC is based in Houston, according to the paperwork, which the FEC received Wednesday.